Would you get on that Bus? Harness the obstinate psyche of the young mind that’s made up over a cause and it is a relentless force of nature. This torrent unleashed and channeled in the right direction, can dismantle strongholds and change the course of history forever. We all saw this principle very recently, in the fall of Mubarak in Egypt. This story airing on PBS on May 16 2011, tells of black, white, mixed activists, college students, young people simply FED UP with segregation in the deep south, who took bus rides straight into the belly of the racist beast. The activists received intense training by CORE on how to take non-violent actions against segregation, by simply using the “white only” restrooms and water fountains, asking for service in “white only” restaurants and so on. In Alabama, the KKK set the bus on fire with them in it. In Mississippi , as they arrived, the police escorted them off the buses directly into already crammed jail cells, and so from all over the country, college students and seniors walked away from their final exams, executed their last wills and got on buses, planes, cars and converged on the “Magnolia” and “Yellow-hammer” States. These young heroes and heroines were intent on overwhelming the system and keeping the movement alive. They succeeded when the Federal government actually performed its civic duty and ordered the “white only” and “colored” signs dismantled all over the southern bus routes. Overturning nearly a century of segregation enforced by the Jim Crow Laws enacted since 1863, racial equality was still a pipe dream in the south, but at least on these busy routes, EVERYONE regardless of color now shared the same public facilities. In her “classroom” without walls, Oprah Winfrey did what she does best – a show to honor and introduce a new generation to this part of our history. 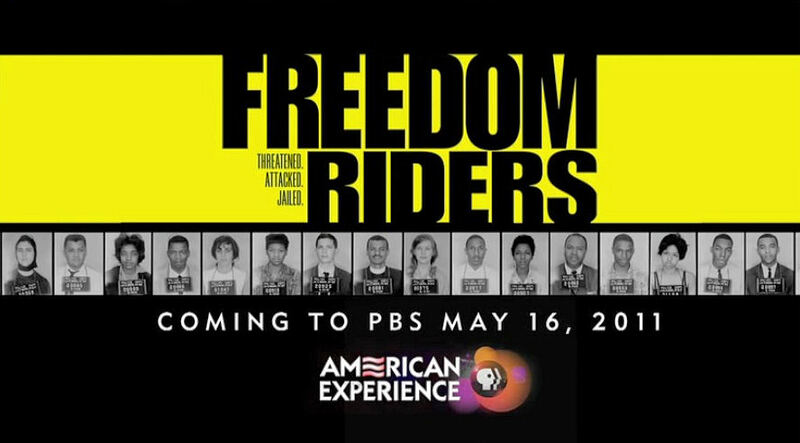 This story is not as mainstream as that of Rosa Parks, so please watch the Freedom Riders documentary on May 16, 2011 on PBS and tell others to honor this American legacy, by watching how these brave young visionaries changed the course of history.The ride is not completely done, we still have remnants of that myopic, ignorant and racist mindset in parts of America, especially in the South today. 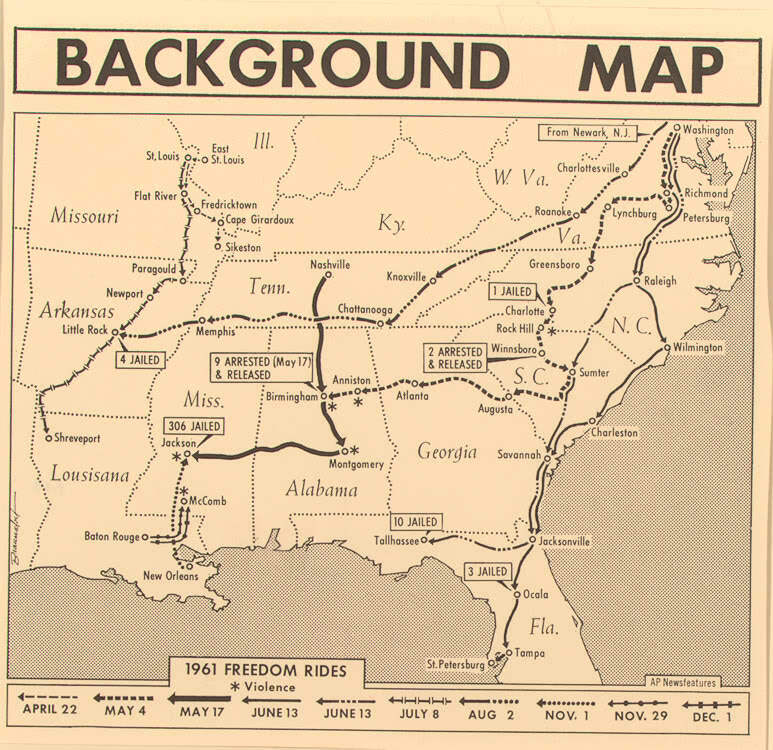 This summer a group of students are retracing the steps of the historic Freedom rides. Reminding us all, that ordinary people with a purpose and a vision, can truly overcome entrenched odds and change the world. Is there anything you believe in so strongly, that you would give your life for? Fifty years ago, if you were asked…would you get on that bus? This entry was posted in Real Life, Shorts, Writing and tagged Civil Rights, Egypt, Freedom Rider, Freedom Riders, Jim Crow Laws, Ku Klux Klan, May 16 2011, PBS, Rosa Parks, United States. Bookmark the permalink.